Left in the wrong hands, email campaigns can do more harm than good to a company’s fortunes. Poorly thought out, spammy online correspondence not only fails to sell, it can also have customers and clients unsubscribing from your precious mailing list in their droves too. Thankfully, for every yin there must be a yang. First and foremost, a successful marketing email has to offer something worthwhile to the recipient otherwise it’s sent to the trash never to be seen again. 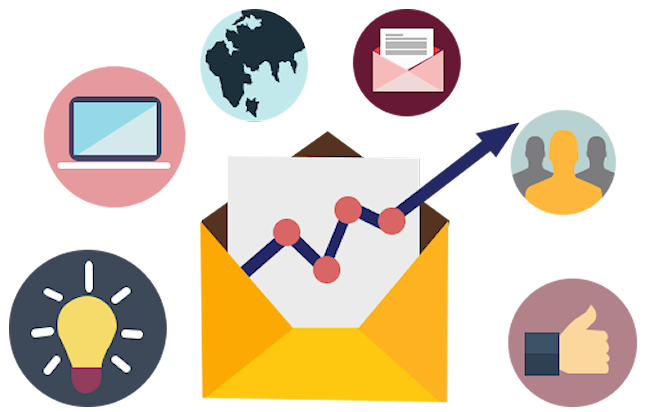 Without a value exchange (my useful and dazzling email copy traded for your prospects precious time), the chances are good that your latest email marketing venture will hit the skids pretty rapidly. Email is personal, so the copy found within each correspondence should be written as such. An effective subject line paired with engaging and informative body copy will not only get your email opened, it will encourage your customers to take action too. As a digital copywriter, I know exactly how to put your message across in order to achieve the best results. My email copy will help to strengthen your bond with your customers, building one of the most important aspects of any relationship – trust. Well-positioned and creative call to action links will also improve your click-through rate, giving your company the best ROI possible. So, if you have gathered an email list for your company why not put it to work? Contact me today – let’s spread the word. ARE YOUR EMAILS GETTING READ?